Friday marked my training group’s one year anniversary for arriving in Burkina Faso, and as such calls for a bit of reflection. Burkina Faso is unlike any other place I have been. Upon first arrival I was shocked or surprised by many things – abject poverty, heat, the multitude of unaccustomed sounds (lots of languages, motorbikes, and the muslim call to prayer, for example). One year later, these things have become a part of my daily life, and while I’m still discovering new things all the time, I’ve become familiar enough with the life and culture here that many previously shocking things have become to seem normal. While I’m proud of some of the successes I have had, at the same time I feel like I’ve hardly accomplished anything thus far. The good news is that seems to be normal, as it is often said that most volunteers don’t really become particularly effective until year two of their service (I still have another two months before I’m on the downhill stretch). I also feel better when I start to look at it through the lens of how much time I’ve actually spent working. When one adds up the three months of Peace Corps trainings, more than one month of my association’s trainings/meetings, another month of evacuations related to earlier military actions and a month of vacation, it quickly becomes evident that I’ve spent about half of my service in Burkina Faso not directly working on projects. Going forward, I’m currently on the verge of starting two big projects that will be taking the majority of the rest of my service, my database/GPS map implementation project I’ve written about before (here and here) looks to be going nationwide, as well as working to bring solar lights to Burkina Faso with Unite to Light. Both projects are in the advanced planning stages and I’m currently dealing with logistics of touring around the country as well as international shipping/customs issues. Hopefully I will be posting soon with all of the details. In addition, ongoing individual consulting projects with borrowers, computer trainings, and appearances with a local English club will likely round out the rest of my free time. Though I’d like to revive interest in making/selling mango jam this coming spring as well as participating in next year’s version of the bike tour as well. Overall, I’d say I’m generally happy, though my usual emotional stoicism is rocked a bit higher or lower than usual every now and then. When I’m busy and accomplishing things I feel amazing, but when I have down time I feel like I’m wasting time. And while downtime is nice sometimes, I on occasion feel like I’m shortchanging my experience here by reverting back to my old American self. I’m online more than I care to admit, and when socializing I’m often hanging out with other expats (Americans, Canadians, French, etc) rather than Burkinabé. Thankfully, it looks like the majority of the rest of my service is already planned out and I will be incredibly busy for at least the next five months, so that should help me feel happier more often. I’ll have a set schedule and won’t be able to simply vanish inside my house for the evening. I’m also doing a little planning for the future. My next vacation plans will be tagging along with my folks on a South Africa/Botswana/Namibia trip next summer and hopefully convincing them (or at least guilting them) into to coming to Burkina and perhaps a side trip to Mali. I’m also thinking more and more about post Peace Corps opportunities. Travel will certainly be a large part of it, but then what? The development field has been interesting, though I’m not sure if I want to be in it for a career. I’m also thinking about grad school, scholarship opportunities, and language study. In short, things are good. I’ve created a role here for myself, and I enjoy the work that I’m doing and generally the life that I’m leading. I want to change up a few things about my routine (exercise more, less computer time), but for the most part I’m happy with where I am and for where I am going – even if I don’t know exactly where that is sometimes. Normally I wouldn’t be one to write something about the death of a celebrity or someone I’ve never met, but I can’t let today’s news of Steve Jobs’ death go by without mention. The visionary tech leader engaged in his profession with such passion that one couldn’t help but be drawn in. My hobby interest in technology and subsequent interest in business led me to follow every movement (and rumor) of Apple for the past 10 years while at the same time inspiring me to something great myself. It was through Apple that I became thoughtful about the details of life. After using its products, one can’t help but look at other items in our daily lives and wonder why they aren’t better or different somehow. When I buy something, no matter how unimportant, I can’t help but think about the design considerations that did or didn’t go into the product and it’s materials. The font of a website, the shape of and the feel of the plastic handle of a tea kettle, or the way something is worded – they all matter. This attention to detail has infused itself into my conscious, and it’s that philosophy that permeates much of my life and work today. I’ll often put as just as much thought into the design aspect of my work as I do on the content (the info window for my map project, for example). Though somehow, at the same time, he was able to be a big picture guy. He had an uncanny ability to enter certain industries at the right time (while not choosing others) and delivering products that we never knew we wanted or thought possible. There’s a new(ish) mircrofinance website out there these days, called Zidisha. It’s similar to Kiva, but a key difference is that Zidisha is the first to have no intermediaries between borrowers and lenders. This way, the borrowers receives the funds directly and does not deal with a local MFI (microfinance institution). By doing this, Zidisha has gotten rid of the overhead associated with MFIs (loan officers, buildings, etc) and can offer low interest rates. Typical rates are about 8% compared to the global average of 35%. …used to cover operating expenses only… This is deducted from borrower repayments, rather than from loan disbursements. Linking fee income to repayments means that Zidisha’s financial interest is in facilitating the financing of quality loans to small business entrepreneurs who are capable of repayment, not in maximizing lending volume at the expense of quality. Just last week Zidisha has added their first borrower in Burkina Faso, a man starting up a restaurant near the entrance to the waterfalls I visited in the south-west a few months back. My good friend James, another PCV, is working closely with him and is actually acting as a guarantor in this situation because it is the first loan in-country. I encourage you to take a look at the site, sign up, and make a loan. Even a small loan can go a long way here, and the current repayment rate is 100%. 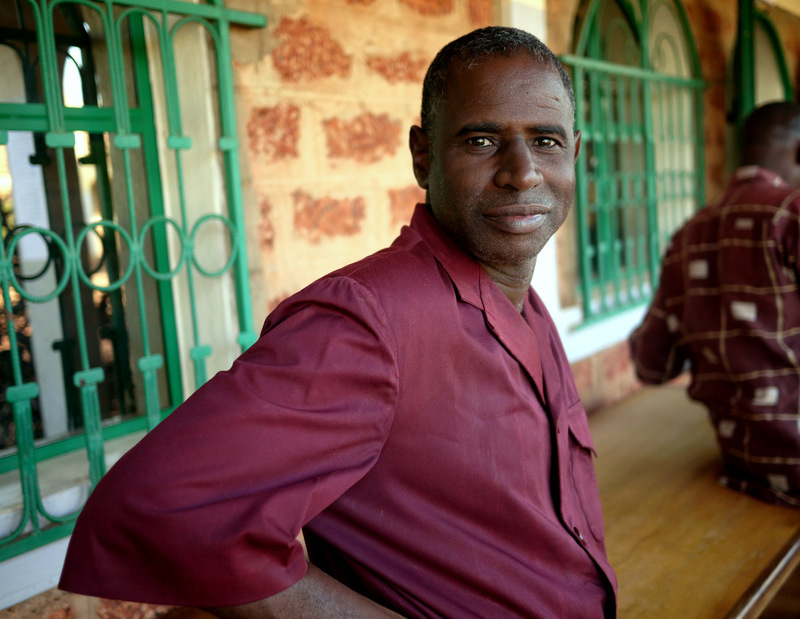 Plus, if you loan to the Burkinabé borrower I mentioned, there’s an incredibly capable PCV working alongside him. I just signed up myself and made a small loan at a 3% interest rate (he’s currently 70% funded for his $1,128 loan —July 21st update: the loan is now 100% funded). For more information, check out the Zidisha FAQ. Lawrence almost assuredly wasn’t speaking about development and sustainability, but he eloquently states my uncertain position as to the pros/cons in the development and aid industries that I’ve been initiated into with Peace Corps. The Peace Corps development philosophy focuses squarely on type one aid by teaching the PACA approach (Participatory Analysis for Community Action). In other words, to assist the community in selecting projects that they themselves feel are priorities will be able to continue on their own. I agree with this philosophy whole-heartedly, though of course true sustainability is incredibly hard to get right. Our advantage as Peace Corps Volunteers, is our ability to fully integrate into our communities and our long time horizon. …it’s [the] aid that most aid agencies and politicians talk about. This is also aid that rarely, I think, succeeds on its own terms. It turns out that development is too complicated, aid too cumbersome, and the ability of external agents to effect change too weak, for this type of aid to succeed often. Not often isn’t the same as never – it probably sometimes works. But success is less common than one would think from the rhetoric of aid. And I think we kid ourselves much of the time regarding the potential for[this type of] aid to work, and end up wasting money. I myself have been conflicted lately on a few projects where I don’t believe I’m really doing sustainable development, and may be drifting into type two aid. One example: my organization has a lot of data, but organizes it inefficiently. With my background in MS Access, I’ve been working on making a database to enter and track borrower data. And while I don’t anticipate having any problems teaching my colleagues how to use the system, teaching them how to make the actual tables/queries/tables and their interactions might be a little out of their league. But I’ve decided to make it anyway. If I were in the US I’d most likely run into the same problem. Users wouldn’t know how to make the database (or the website or almost anything else), but they’d know how to use it, and that’s what counts. The key will be to fully train my colleagues on the concepts of the system, but not worry about making them all IT professionals. I’m a big fan of the second type of aid. This, I think, can work — and it’s probably where aid has had its most major success in improving welfare. The main argument against it is that you have to give it in perpetuity, or at least for a long time. But, hey that’s what we do with our own welfare state. No one in New Zealand says “we’re funding a health service now so that one day we won’t have to have one”. I’m comfortable with aid as a global social safety net, as part of a global social contact of sorts. And while I agree type one aid is the ideal, there isn’t anything necessarily wrong or evil about type two aid when done right. So while I will always strive for true sustainable development, I am open to the idea that bringing in outside aid and/or expertise that is potentially only sustainable for the short to medium term can still be a good thing. What do you think? * If this and his other quotes are any indication, I think Lawrence and I would have been friends. I previously detailed the essential items I brought to Burkina Faso, and now as a follow-up I’ve detailed a few things that you should definitely NOT bring. Pro tip: if you aren’t sure about some things, set them aside and give a bag to a friend or family member who can send it over later if you decide you really want it. I did this and found that a number of the things I thought would be essential were in fact not necessary once I got here. As many shirts as you think – I brought a ton of shirts, but only wear these: five casual button ups, four polos, and three t-shirts (and two of those shirts were made/bought here). And as a cultural aside, plenty of Burkinabe wear the same outfit two days in a row. Embrace this. As many pants as you think – I brought too many of these as well, but only wear two quickdry pants, one pair of khakis and a pair of jeans. >3 shoes – Bring a good pair of sandals, one pair of dressier shoes, and running shoes if you run. That’s it. Sneakers, additional dress shoes, and simple shower sandals are everywhere here. I brought a couple pairs of sandals, plus a couple pairs of casual shoes and they just sit unused. Sewing kit – Every Peace Corps packing guide includes one of these, but one out of every five business I pass by is a tailoring shop. So unless you really like to sew, you can avoid this one. If something rips or tears, just swing it by the shop and have it fixed on the cheap. Plus, practice your language skills. Power converters – I found that all of my electronics’ (and I brought a lot) power adapters were already dual voltage and will work just fine with simple (and cheap!) power adapters. It’s unlikely you’ll need one of those expensive converters unless you plan on bringing your hair-dryer (and in that case we’ll need to talk). Check out your gear and see if you need one before assuming you need one. Too much “backpacking stuff” – Yes, you’ll probably be living in a small village in Africa, but no matter how remote your village things are more normal here than you’d think. Don’t get too crazy with the gear. There’s no need for expensive, heavy duty backpacking backpacks, UV water filters, fancy watches, or tools (besides a knife or leatherman). And while I’m a full supporter of quickdry type clothing, get the those that won’t make you look like you’re on a safari. The manner of dress here is much more western than you’d think. Most over the counter medications – your Peace Corps medical kit will have most everything you could want (and will be so full that you won’t be able to re-close it). Obviously bring your prescription stuff if you’re supposed to, but no need to bring pepto, immodium, asprin, daily vitamins, band-aids, hand sanitizer, condoms, lip balm, etc. Too many toiletries – training is in a large regional capital (Koudougou), so you’ll be able to find things like toothpaste, soap, q-tips, etc. Bring enough to get you through training, but no more unless you just can’t live without something. Hair product – basically a total waste with the combination of your bike helmet and lots of sweat. Don’t waste precious packing space with food besides a few granola bars and some Gatorade mix. Mail yourself a box with some snacks before you go. Small US denomination currency – Want to bring some US currency just in case? A good idea actually, but don’t bring small bills. Money exchangers don’t like anything less than a twenty.